Did you find a 1959 penny in your pocket change or notice one in your coin jar? You’re probably curious if that 1959 Lincoln Memorial cent is worth anything more than a penny, right? If you’d like to find out more about 1959 pennies, why they’re special, and how much they’re worth, then you’ve come to the right place! We’ve got more information on 1959 penny values, facts about these old pennies, and info on why you should keep these coins. 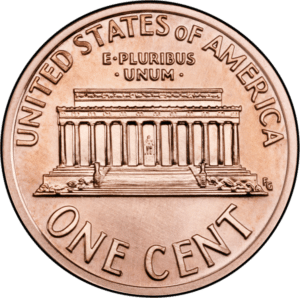 The 1959 penny is special because it became the first to bear a reverse (or tails) portrait of the Lincoln Memorial. The Lincoln Memorial was dedicated in Washington, D.C. in 1922 to honor the life of President Abraham Lincoln, who remains on the obverse (head’s side) of the one-cent coin today. The Lincoln Memorial design replaced the famous wheat ears, or Lincoln wheat penny design that was struck on the coin from 1909 through 1958. While people loved wheat pennies, the new 1959 one-cent coins were mostly popular with the public when they were first released. There are always critics though. Some even called the new coins “trolley car cents,” likening the Lincoln Memorial design to the appearance of a trolley car. The new Lincoln Memorial design was created by Frank Gasparro — whose initials FG are found to the bottom right of the Lincoln Memorial design. Gasparro also designed other famous coins, such as the Eisenhower dollar and Susan B. Anthony dollar. Finding a 1959 Lincoln Memorial penny today isn’t too hard with enough searching, but they’re getting more challenging to locate as newer pennies continually displace older ones in circulation. It’s actually getting much more difficult to find any pre-1982 pennies in spare change these days –because people are saving them for their intrinsic copper value, which is presently worth about 2 cents. In other words, these old copper pennies are worth about twice their face value! But does that mean all 1959 pennies are worth “only” 2 cents? How Much Are 1959 Pennies Worth? If you find any 1959 penny in your pocket change, keep it! Again, they’re all worth at least 2 cents — so you’re doubling your money! Those that contain rare errors or varieties. Those that have never been worn. It’s possible to find a circulated 1959 penny with some interesting errors — such as repunched mintmarks or maybe even a doubled die. But you’re not going to find any unworn 1959 pennies in spare change because virtually anything you find in circulation will show some signs, even minute indications, of some wear. 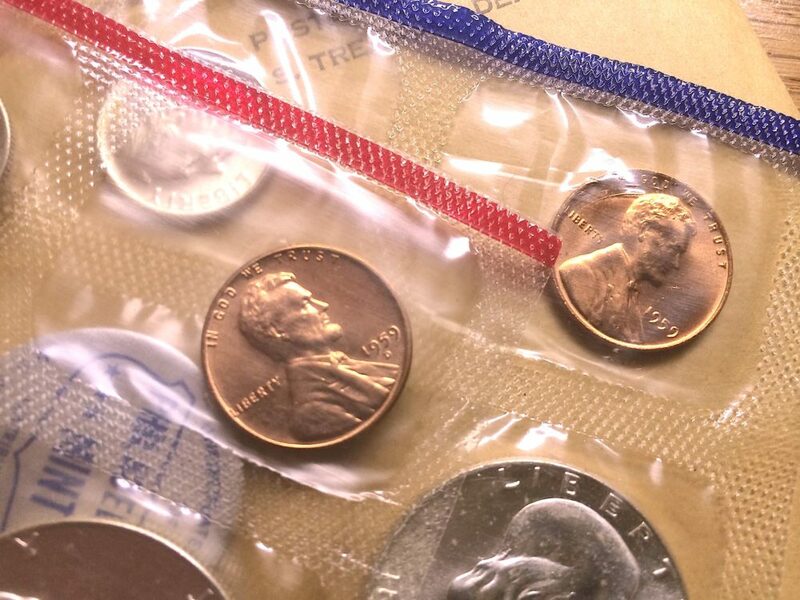 *All values are for uncirculated and proof 1959 pennies, and therefore must have no signs of wear. What Else Happened When Your 1959 Penny Was Made? Alaska and Hawaii were admitted into the United States as the 49th and 50th states, respectively. Fidel Castro was sworn in as the prime minister of Cuba. The famous doll, Barbie, debuted at the American Toy Fair in New York. Bonanza, Twilight Zone, Gunsmoke, and Dennis The Menace aired on TV for the first time. The Guggenheim Museum, designed by famous architect Frank Lloyd Wright, opened in New York City. American car manufacturer Ford stopped producing its highly unpopular Edsel model. Top songs in 1959 included “Mack the Knife” by Bobby Darin, “Smoke Gets in Your Eyes” from The Platters, and “I Need Your Love Tonight” by Elvis Presley.